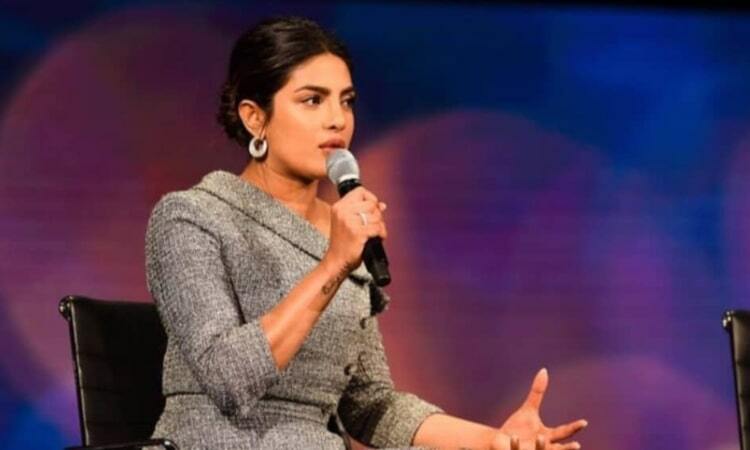 Bollywood actress and now global icon, Priyanka Chopra, recently attended the Women in World Summit 2019 in New York and shared her thoughts on a variety of topics, from her recent marriage to singer Nick Jonas to the wave of #MeToo movement that has hit the world. Talking about her husband, PeeCee revealed that Nick has always been supportive of her in every way possible. Recalling an incident from one of their initial dates, Priyanka said, "I said it twice. I said it thrice. And finally he pulled me aside and was like, 'Look, I'm not stupid, I know what you're trying to do. But I will never be the one that tells you to cancel work, because I know how hard you work to be where you are. If you could have cancelled the meeting, you would have done it," adding that, "I was like, this is the first (time) anyone has ever done that for me, the first person who gave me credit for what I have done." She further admitted that she is a wild child and stated that she does whatever she wants, whenever she wants and he supports her. Apart from that, Priyanka also opened up on the #MeToo movement and pointed that she is glad that women came together for each other. "Sexual harassment had become a norm with women. Now because of the support we are giving each other, people don't have the power to shut us down," she maintained. Not just that, the actress was also asked about how she has managed to transition into Hollywood, to which she replied by saying that South Asian actors are stereotyped in the industry. "It took me all those ethnically ambiguous parts to be where I am today. I did not want to do stereotype roles because then all you will see is what I already know I can do. I am Indian, I can do that," she concluded. Priyanka-Nick craving to be mommy and daddy? The singer reveals!